Hi! I got a cream chow baby a little over a month ago & he is now 5 months old. When I was growing up, we had a black chow boy who was massive, but we didn't get him until he was 10 months old. My new pup seems ickle in comparison, but I'm thinking it's because our old male was almost an adult at the time he came to us. Kylo - my new puppy - has tree trunk legs and giant paws & is 19 inches at the shoulder (23 with his head lol) and 38lbs... Is this about average for a 5 month baby? Not that size is a big deal, I was just curious to see where he stands in comparrison! I just thought it'd be fun to compare since I'm new on the forums! I tried to attach a pic but all my files are to large I would love to see some pics of your fur babies though! Re: Chow puppy and size! I dont know My wife grew up with Chows her parents raised and showed them...she always remembers them as Big i think todays Chows are small...IMO...Our female chow was almost 23 inches at the shoulders and between 60 to 65 lbs... Now our Male chow he is BIG and everyone who meets him says WOW he is huge for a CHOW...he stands over 26 inches at the shoulders and easily 110-115 lbs...like you said tree trunk legs and Huge Paws....he is a good boy too...a clown really....if you know your dogs parents he should be there size. kitten1426 wrote: I dont know My wife grew up with Chows her parents raised and showed them...she always remembers them as Big i think todays Chows are small...IMO...Our female chow was almost 23 inches at the shoulders and between 60 to 65 lbs... Now our Male chow he is BIG and everyone who meets him says WOW he is huge for a CHOW...he stands over 26 inches at the shoulders and easily 110-115 lbs...like you said tree trunk legs and Huge Paws....he is a good boy too...a clown really....if you know your dogs parents he should be there size. Wow, he is gorgeous! 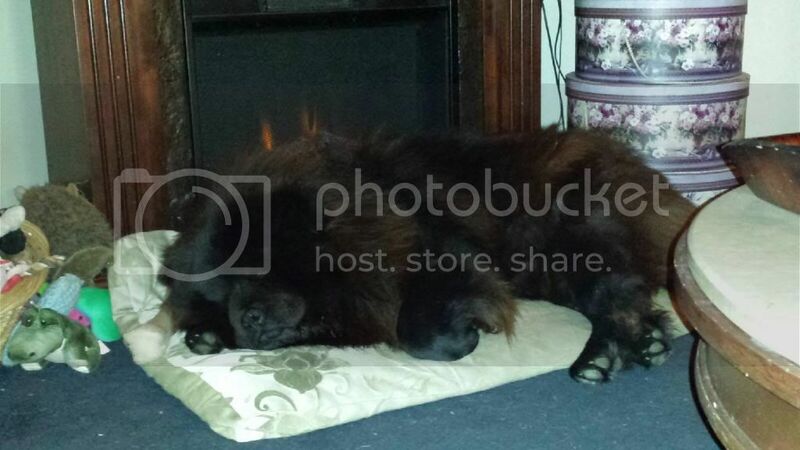 He's actually akin to the chow boy I grew up with - he too was gigantic for the breed! My sister has actually just gotten her chow puppy today and there isn't much difference in their age (he's 25 days younger than my one) and he is tiny in comparison! I find it fascinating how much the sizes within the breed can vary! I hope mine will grow to be a big boy (I've always had a soft spot for larger dogs!) but either way, I love him. There is no breed that quite compares IMO I've tried attaching a pic from two weeks ago of my pup, Kylo! He is Beautiful !!!! he should grow to a decent size...please keep updating us... are you on Facebook? kitten1426 wrote: He is Beautiful !!!! he should grow to a decent size...please keep updating us... are you on Facebook? I will keep you updated! We had him weighed over at the vet today and he is 42lbs now & a little under 20 inches at the shoulder. I am on facebook Kylo also has his own instagram account where I post all his pics so I can watch him grow! There is a nice community of Chow parents and pups over there too and it's a good place to post all his pics without spamming every other social media account Thanks for your replies! Just a quick update for anyone who is interested - Kylo got weighed & measured today and he is 23 inches at the shoulder and 26.2kg He was 7 months old on the 20th of this month so he is growing pretty steadily! Last edited by constantgardener on Tue Apr 25, 2017 7:55 am, edited 1 time in total. Reggie is my 5th chow chow in my lifetime. Only breed for me. All of our previous ones have been in the 65-75lbs range. 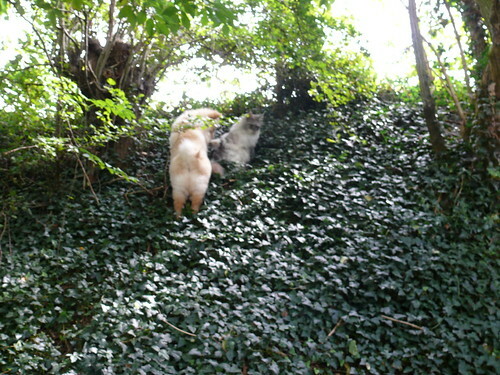 About 20 years ago, some breeders seemed to turn their chows into lumbering caterpillars. Some developed serious joint issues at a higher rate than the breed norm. Happily, that era seems to have mostly passed. 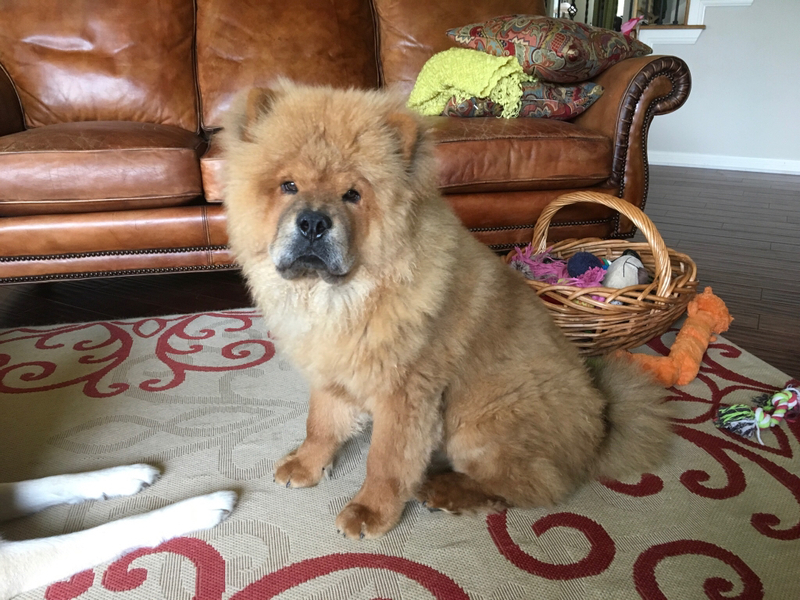 Reggie is our 2nd Chow Chow from Dreamland Kennels in Lubbock, TX. Best of all, he is quicker than most Chows to warm up to people and other dogs. Loves the local dog park. Truly, not a mean bone in his body. 17"- 20" is listed as the average in the AKC breed standard but there is no size that disqualifies them.